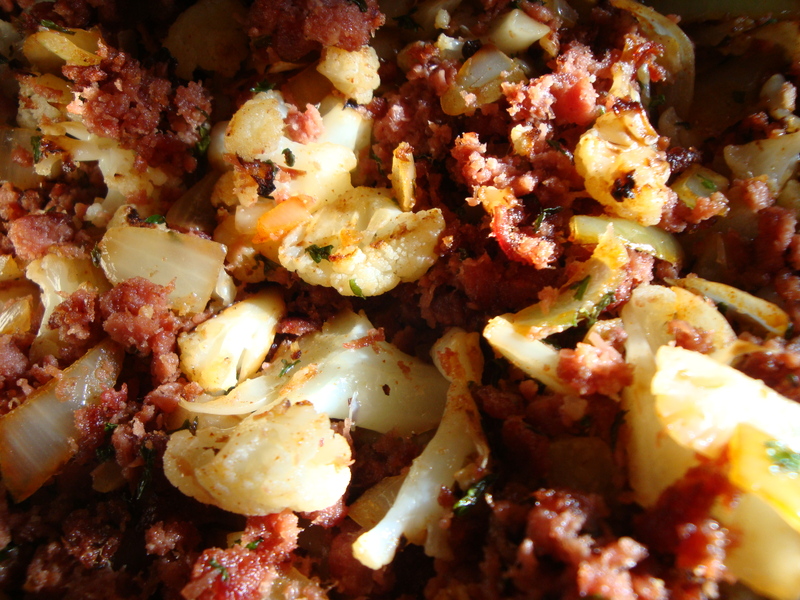 This delicious corned beef hash uses cauliflower instead of potatoes, and tastes so good you won't know the difference! In a large skillet, put some Paleo Grease and saute cauliflower until well browned. Remove from pan and set aside. In same skillet, add more Paleo Grease and saute onions. Add parsley, garlic powder and paprika and mix well. Remove from pan and set aside. 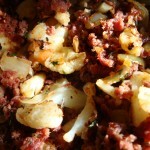 Add corned beef to skillet and heat thru, turning hash frequently and scraping bottom of pan to mix in all the crispies. Use more Paleo Grease as needed. Return cauliflower and onion to pan and mix together, stirring until heated through. Serve warm, top hash with soft boiled eggs or fry eggs on top of hash.